In conjunction with connecting multiple Google drive accounts with CloudFuze, now one can move/copy/transfer files between Google Drive accounts and also can move files between Google Drive and any other cloud storage service.  Below are the 3 simple steps to move files between Google drive accounts. Next, selects the particular file/folder that you would like to move. Step 3: Finally, inside the right box of icons, select the destination Google drive account as the “Destination Cloud” . 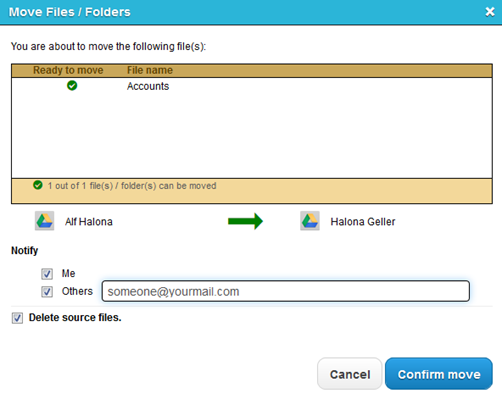 You can even transfer files to the same Google Drive account that is selected in your source cloud.